Kitchens by JRO work closely with you to design the perfect room feature. With our 25 years experience we have the knowledge and ability to provide you with the best design ideas, recommendations, concepts and top quality materials required. Kitchens by JRO come to you and spend the time to fully understand your requirements. We suggest design ideas, solutions and provide you with a brief, budget and recommended appliance requirement. Once your design has been decided on we manufacture it using the highest quality materials to ensure that you have a well built project that lasts for many years. We supply all of the necessary materials for your project, resulting in a more efficient time frame and result. Kitchens by JRO provides an installation service of its project designs with an emphasis on quality, service and attention to detail. We ensure that your project is installed on time and up to the highest standards. For over 25 years Kitchens by JRO has built relationships with many tradesmen. We can coordinate with plumbers, electricians and other tradesmen to handle the project from start to finish and take the hassle of coordination away from you. 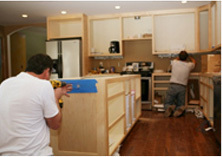 Kitchens by JRO has managed hundreds of kitchen and other room projects. Through the many years of experience, we have perfected the process and can deliver your project on time, on budget and up to the highest quality standards. 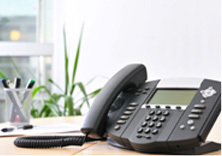 We provide you with a comprehensive start to finish service taking care of everything in between. Apart from Kitchen services, Kitchens by JRO also design and plan laundry units and bathroom cabinets. Bathrooms are one of the most used rooms in the house, and bathroom remodelling requires careful planning to achieve the best bathroom renovation result. 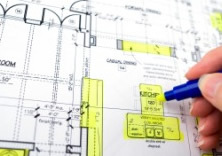 Building code criteria, bathroom plumbing complexities, and other important considerations like bathroom design and choosing bathroom fixtures are all essential parts of the process and we can help you do it all. If your laundry is too small or needs updating, Kitchens by JRO can assist you with an innovative design that will make household chores convenient. You may also want your laundry as a dual purpose room, inclusive of bathroom facilities as well.